The "From Only" and "From Price" reflects the lowest price for this tour, which is a quad rate. Visit the largest privately-owned home in the United States, the fabulous Biltmore Estate located in Asheville, NC! The Biltmore Estate, which is the largest privately-owned home in the United States, was built by George Vanderbilt. 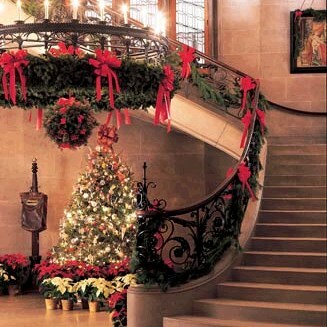 The estate has been lavishly decorated for Christmas! On your first day, you will travel to Asheville, North Carolina. Take a guided historical tour of Asheville this morning. 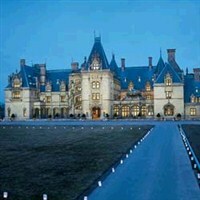 Dinner will be at the beautiful Deerpark Restaurant on the grounds of the Biltmore. 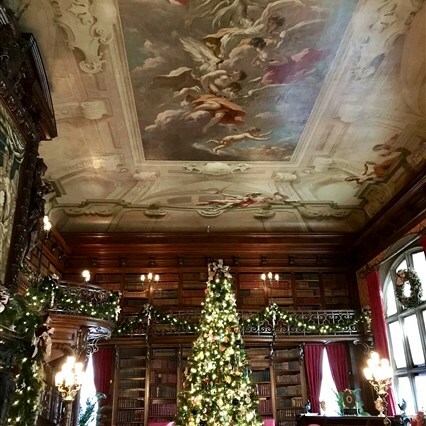 Enjoy a self-guided candlelight tour of the mansion. 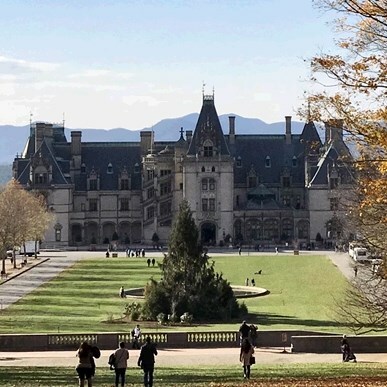 Today return to this elaborate estate for self-guided touring of the Biltmore's mansion (with audio headphones), gardens and winery. This will give you more time to explore other areas of the estate in more depth. Enjoy dinner at the Red Rocker Inn, which was featured in Southern Living Magazine. Your fond memories of Christmas in Asheville will keep you warm all the way home! Includes: Transportation, lodging, three breakfasts, three dinners, admissions and touring per itinerary, baggage handling, and taxes. Cancellation Policy: 3045 days prior to departureFull refund less any non-refundable charges (i.e. theater tickets, service fees, etc.) unless notification of difference is noted on the tour description. NO REFUND after final balance due date. Written notice of cancellation is required before monies refunded. Walking Code: 3 - This tour includes moderate physical activity. The itinerary blends some longer days with shorter days and more leisure time. Walking tours, as well as walking slightly longer distances, up stairs or on uneven walking surfaces should be expected. Travel Insurance is optional. To be eligible for the waiver of pre-existing medical condition exclusion, the protection plan must be purchased within 15 days from the time you make your initial trip deposit and for the prepaid non-refundable payments or deposits. If purchased, the insurance premium is refundable during the 15 day review period, unless you have filed a claim or departed on your trip. The insurance premium is non-refundable after the 15 day review period. To view/download the Policy, go to: http://policy.travelexinsurance.com/312A-1217.